Today, we're very happy to announce the launch of our brand new website! The last time we did this was in 2008. Back then we were just getting in on the hip trend of moving a website from dozens of HTML pages into the "new era" of using a content management system. It was a step in the right direction, but our web design was very..."functional." 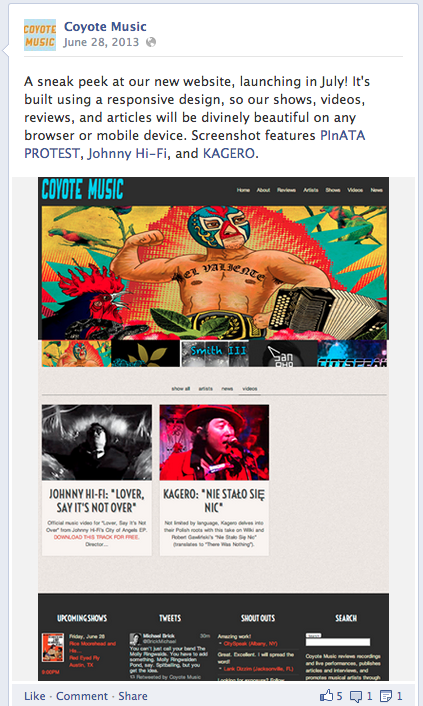 The 350+ artists now on Coyote Music are presented to you dazzlingly, via a "responsive" web design that's friendly with all sizes of computers, tablets, phones, etc. Go ahead, pull out that phone and give it a whirl. 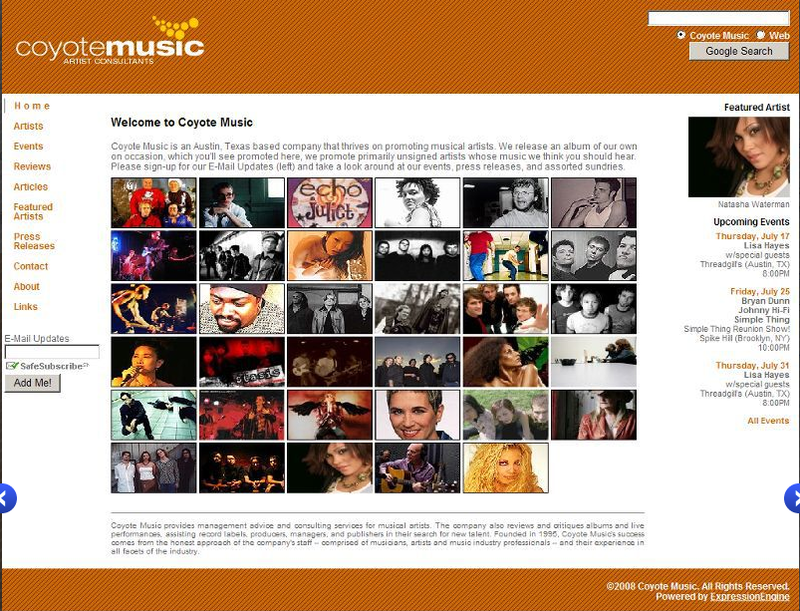 So please join Coyote Music in it's newly-refurnished home and take a look around. We're currently promoting several upcoming shows and have a number of reviews and videos coming your way in the next few weeks. On behalf of Coyote Music's contributing writers, Lauren Gribble, Ringo Cisneros, and Ryan Tarby, I want to thank all the artists, photographers, venues, and promoters who've turned to Coyote Music for promotion of their shows, music, or other special events. 2014 looks to have grand things in store for Coyote Music, so please keep your eye out for the latest from our happy lil' family.